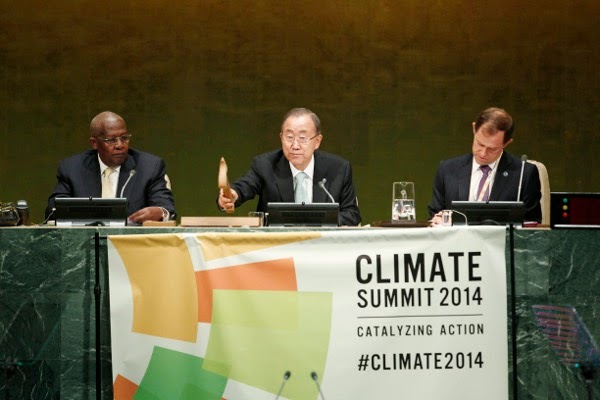 The UN climate summit has resulted in an extensive range of promises and commitments on climate action. But noticeably absent is any mention of commitments from Canada and Australia. These two countries both have high carbon fossil fuel mining industries with governments in denial on taking effective climate action on a national level to reign in emissions and the mining and export of fossil fuels. "I will confirm that we are committed to a new global agreement," Ms Bishop said. "We're looking at what other countries are doing, we're in consultation with other countries … [but] this is too early to do it. It doesn't arise at this summit." “Australia national interest should not be defined solely by the perceived impact of action on our pollution intensive industries. The Government should take a broader view which recognises the interests in the broader Australian economy and community in avoiding accelerating climate change impacts.” Connor said in a media statement. The Abbott government in Australia came to power in September 2013 based on some simple but effective three word slogans: Stop the boats, Axe the tax, Repay the debt, A stronger Australia, Stop the waste. Since then we have had a litany of broken promises. One of this government's first actions was dismissing and abolishing the Climate Commission setup to educate people on climate science while being politically non-partisan. Since then he has gone on to abolish Australia's effective carbon pricing scheme, the first and only nation to role back carbon pricing. The Government has also abolished the large scale energy efficiency program and created an unstable investment environment for renewables through threatening the abolition of the Australian Renewable Energy Agency (ARENA) and the Clean Energy Finance Corporation (CEFC), and establishing the Warburton review of the Renewable Energy Target (RET) which recommended either abolition or scaling back the target. We are already seeing a slight rise in emissions from the energy sector, the first for several years. Pacific Nations in particular have said they supported Australia's seat on the UN Security Council but feel abandoned by the lack of support for climate action by the Abbott Government. Climate change will hurt island nations particularly hard in coming years with an increase in extreme weather, change in rainfall patterns and rising sea levels. Countries whose leaders snubbed the summit includes major industrial economies and key carbon market players including India, Russia, Canada, Australia, UAE and Germany. In Canada the Harper Government continues to support the development of the Albertan tar sands, while also muzzling climate scientists and funding cutbacks to science. Science Librarian John Dupuis details in his 2013 blog article The Canadian War on Science: A long, unexaggerated, devastating chronological indictment. Prime Minister Harper skipped the Climate Summit but the Canadian Environment Minister attended. The two major commitments made by Canada were to match American vehicle-emissions standards and to curb the use of HFC coolants, both announced by President Obama. But Aglukkaq's speech did not mention oil and gas emissions according to a CBCNews report. 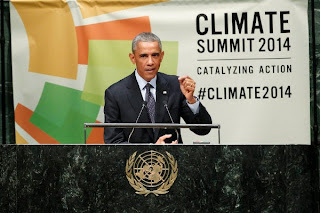 US president Barak Obama attended and said "We are the first generation to feel impacts of climate change and the last generation that can do anything about it". "We recognize our role in creating this problem; we embrace our responsibility to combat it. We will do our part, and we will help developing nations do theirs. But we can only succeed in combating climate change if we are joined in this effort by every nation –- developed and developing alike. Nobody gets a pass." he said. "The emerging economies that have experienced some of the most dynamic growth in recent years have also emitted rising levels of carbon pollution. It is those emerging economies that are likely to produce more and more carbon emissions in the years to come. So nobody can stand on the sidelines on this issues. We have to set aside the old divides. 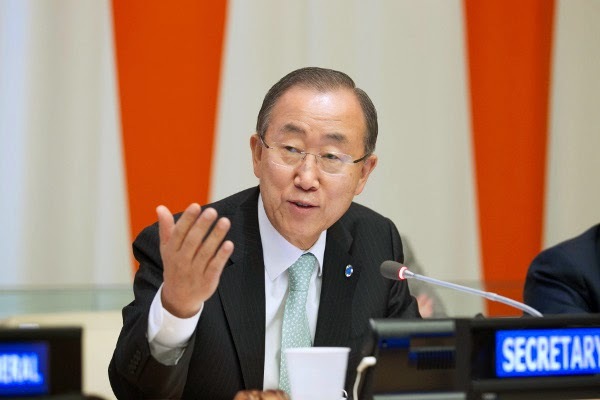 We have to raise our collective ambition, each of us doing what we can to confront this global challenge." Obama concluded by invoking words by Dr Martin Luther King: "For I believe in the words of Dr King that there is such a thing as being too late, and for the sake of future generations our generation must move toward a global compact to confront a changing climate while we still can." 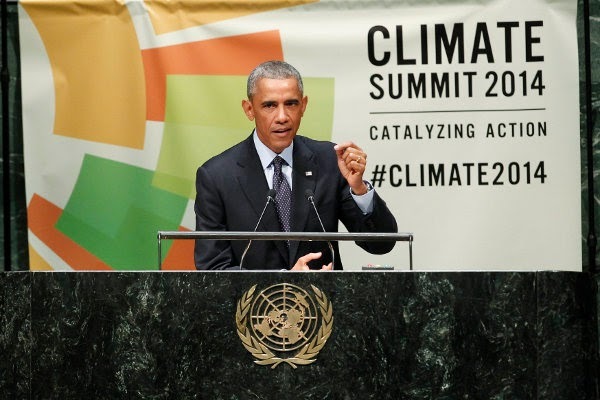 You can read or watch Obama's full speech at the Climate Summit. Vice Premier Premier Zhang Gaoli said in a speech that China will “make greater effort to more effectively address climate change”. He said China will announce post-2020 actions on climate change “as soon as we can” and that these would include “marked progress in reducing carbon intensity” and “the peaking of total carbon dioxide emissions as early as possible”. France made important funding commitments to the Green Climate Fund and also reinforced the necessity to transition out of fossil fuels. World leaders agreed that climate change is a defining issue of our time and that bold action is needed today to reduce emissions and build resilience and that they would lead this effort. A new Global Mayors Compact, representing well over 2,000 cities pledged new commitments on climate action supported by new funding from public and private sources -- 228 cities have voluntary targets and strategies for greenhouse gas reductions, that could avoid up to 2.1 gigatonnes of greenhouse gas emissions per year. Today’s Summit has shown that we can rise to the climate challenge.